"The crap of the theosophists, which falls into the class of conscious fakery, is interesting in spots. It combines some genuine Hindoo and other Oriental myths with a subtle charlatanism obviously drawn from nineteenth century scientific concepts." _It is often unacknowledged how deep a debt modern ancient astronaut theorists owe to the nineteenth-century Theosophical movement, a Victorian-era amalgam of Spiritualism, Eastern religions, and good old-fashioned hokum. The Theosophists proposed that beings from Venus and other planets visited earth in the deep past and were responsible for ancient ruins and the foundations of religion. 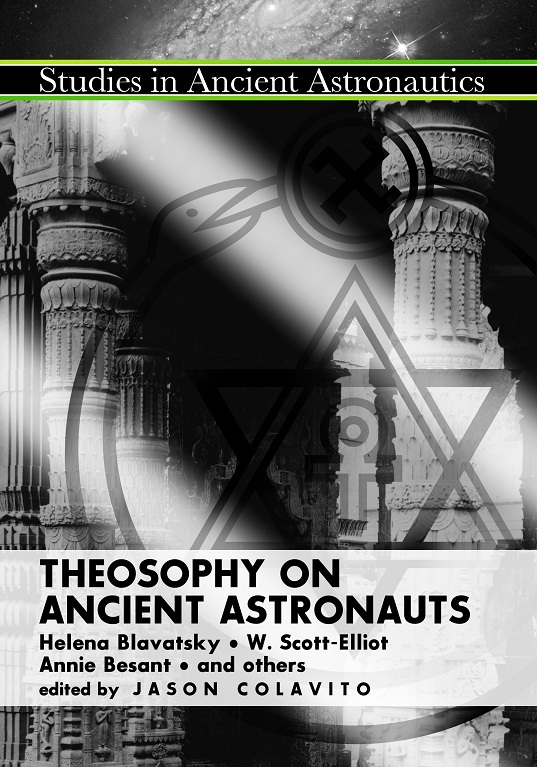 This book presents early texts from noted Theosophists and those who encountered Theosophy, covering the beings from other worlds that came to the ancient earth to “civilize our planet.” These texts provide an interesting window into the origins of the modern ancient astronaut theory and demonstrate just how much the talking heads of cable TV and the modern authors of alternative history owe to the pioneering work of the nineteenth- and early twentieth-century occultists. This volume features W. Scott-Elliot’s complete The Lost Lemuria and H. P. Blavatsky’s Stanzas of Dzyan among other selections. Edited with a critical introduction by Jason Colavito.